Hope everyone is enjoying their summer, and I hope everyone remembered to hide their stuff in their classrooms over the summer! Don’t forget about the Summer Vortex! Check out this Throwback Thursday for more on that. 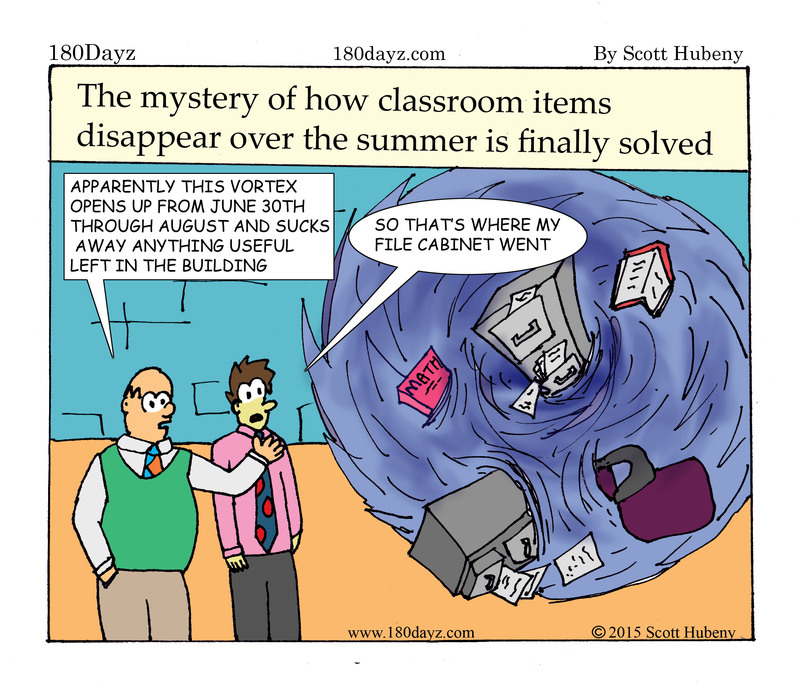 This may be the last Throwback Thursday for a while as I shift my attention this summer to finishing the comics for the 180Dayz School Year Calendar. If you haven’t done so already, please support the project on Kickstarter (go ahead, click that button on the annoying popup that keeps appearing, lol), as there are less then 10 days to go. Get your calendar, and be happy all school year. Thanks for the support, and look for more updates on this calendar project over the summer.